Hello,I am Eric Thevenot from HLP (Henri Leconte Padel). 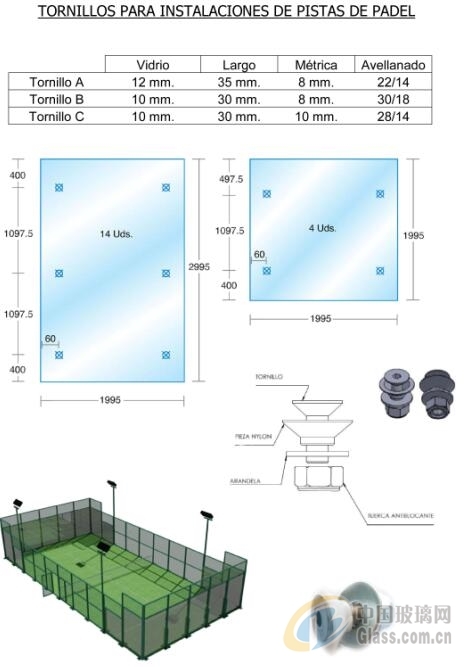 I would like to know if you manufacture glazing for sports fields: PADEL. Size of glazing-1:(140 pieces)2995cmx1995cm; Thickness:10cm; 2:(40 pieces) 1995 cm x 1995 cm Thickness:10 mm; 3:(28 pieces) 2995 cm x 1995 cm Thickness:12 mm; 4:(8 pieces) 1995 cm x 1995 cm Thickness:12 mm. Type of glazing: toughened safety glass with polished edges which must meet the standard “Glass in construction” NF EN 12150-1 (December 2010).